After arriving a week early to Port St. Lucie, Yoenis Cespedes addressed the media about his health and his potential return. 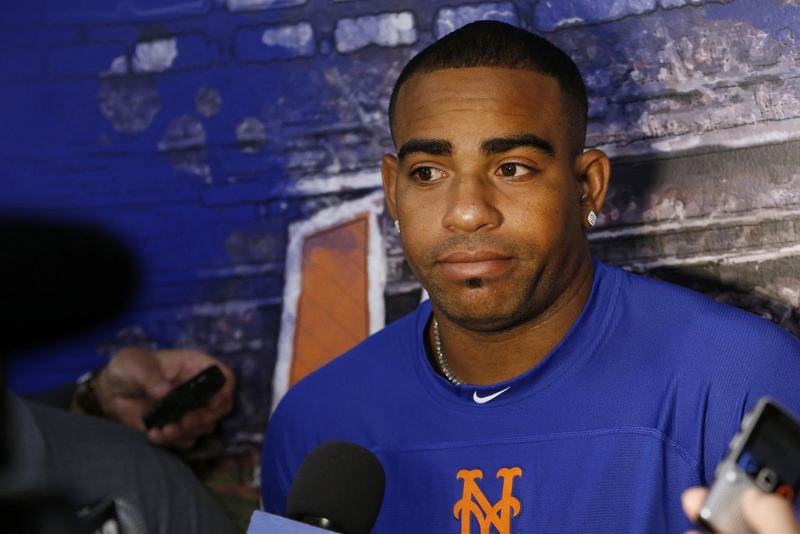 Cespedes told reporters “I do feel like I will return.”, through a translator. He also said that he can’t say he’s currently at 50%, in regards to the state of his health. He added “It may be three months, it may be two months, it may be one month. But at this point, the way that I feel, I do think I can return.” And assured the fans “When I do return, I plan on being 100 percent like I was in 2015.” After Cespedes was acquired from Detroit for pitching prospect Michael Fulmer, he absolutely tore it up in just a few months, so the impact of his potential return could very well help this lineup and team like a mid season acquisition. Cespedes says that he’s been working out for the past two months and plans to begin his throwing program next week however no word on when the 33 year old can begin running. It’ll be interesting to see what role Manager Mickey Callaway has for Cespedes upon his return, hoping there is one. Previous Mets legend Gary Carter passed away seven years ago today.